"Get to know each other and promote interfaith relationships..."
We could not do our work without our generous donors! During the last two weeks of Ramadan, we urge you to invest in our organization. Our work is more needed than ever. 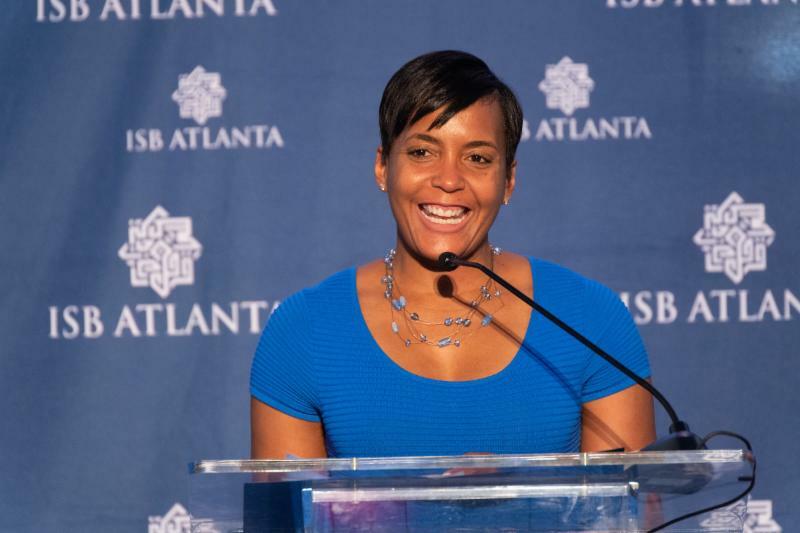 On May 29th, 2018 the ISB collaborated with the Atlanta Mayor's office and Welcoming Atlanta for a historic event at Atlanta City Hall - Iftar with Mayor Keisha Lance Bottoms. During the month of Ramadan, Muslims abstain from food and drink during the day, and pray and reflect during the night. For more information on Ramadan, please listen to Soumaya Khalifa's radio segment here. 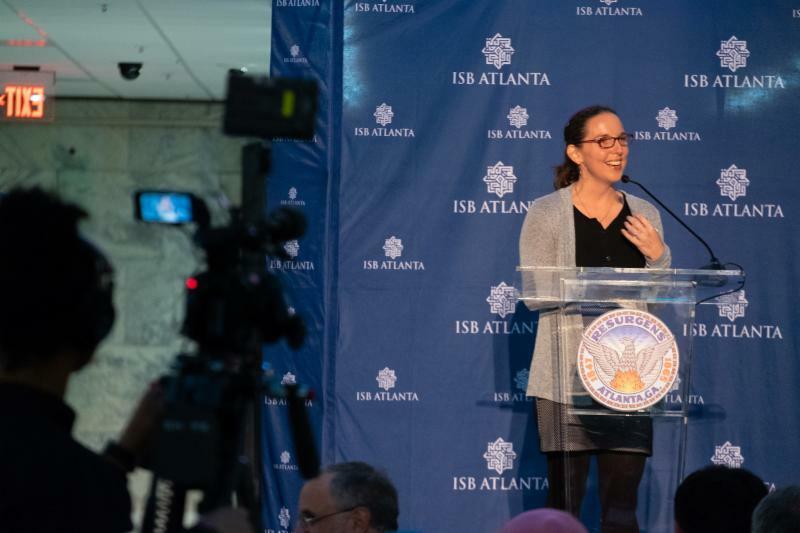 The elegant evening started out with a warm welcome from Ms. Soumaya Khalifa, Executive Director of the ISB, followed by recitation of the Quran by Imam Mansoor Sabree, Director of IMAN Atlanta, translated by Ms. Abir Saberi of the ISB. 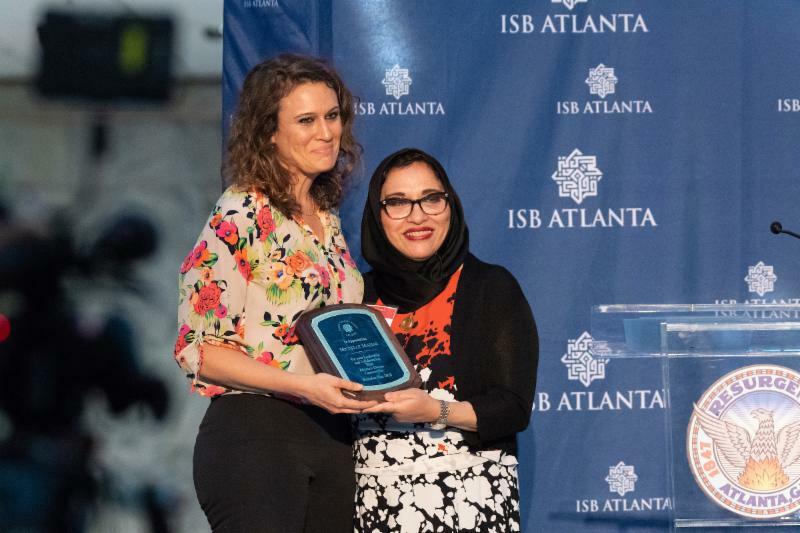 Michelle Maziar, Director of Welcoming Atlanta, Mayor's Office of Immigrant Affairs, received a recognition of appreciation from the ISB. 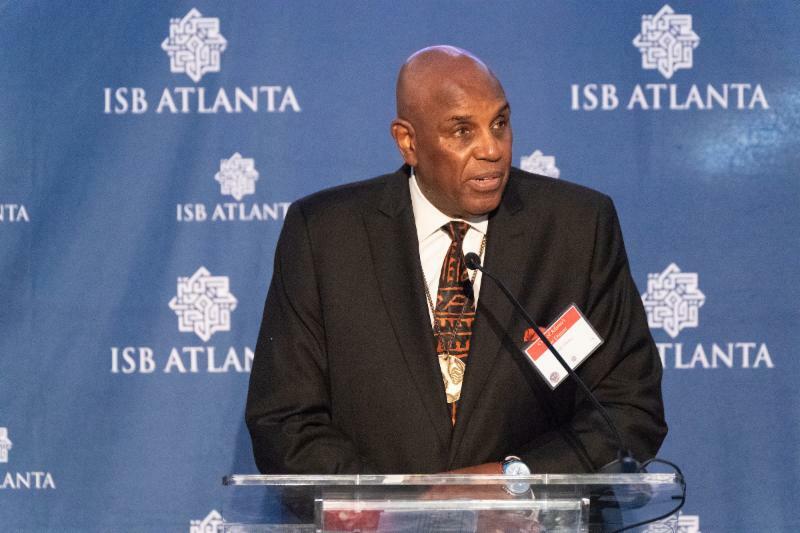 250 people attended the Iftar including mayors from various Georgia cities, representatives from Atlanta Consular Corps, religious leaders, Muslim city employees, donors, and ISB partners. 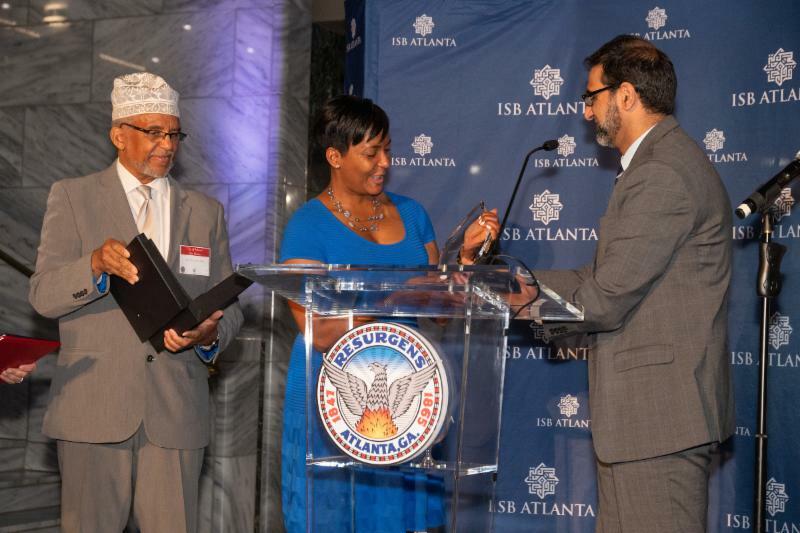 During the Iftar, the ISB Board of Directors led by Dr. Nabile Safdar, Imam Plemon El Amin, and Ms. Soumaya Khalifa gave a Presentation of Recognition award to The Honorable Mayor Keisha Lance Bottoms. Interfaith Reflections were given by Rabbi Lydia Medwin, The Temple, Rev. Dr. Gerald Durley, Pastor Emeritus of Providence Missionary Baptist Church, and Imam Plemon El Amin, Imam Emeritus of Atlanta Masjid of Al Islam. "This room is the epitome of one Atlanta. 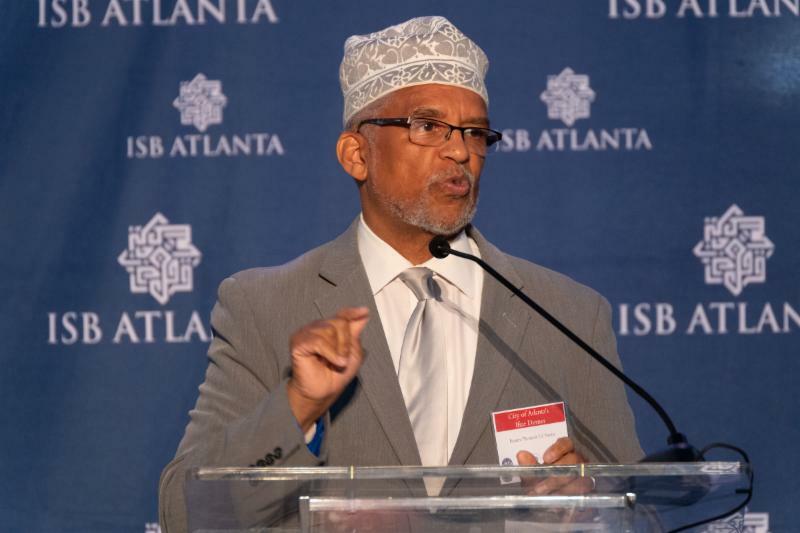 It is essential that Atlanta citizens of all backgrounds get to know each other and promote interfaith relationships. We are honored by your presence. 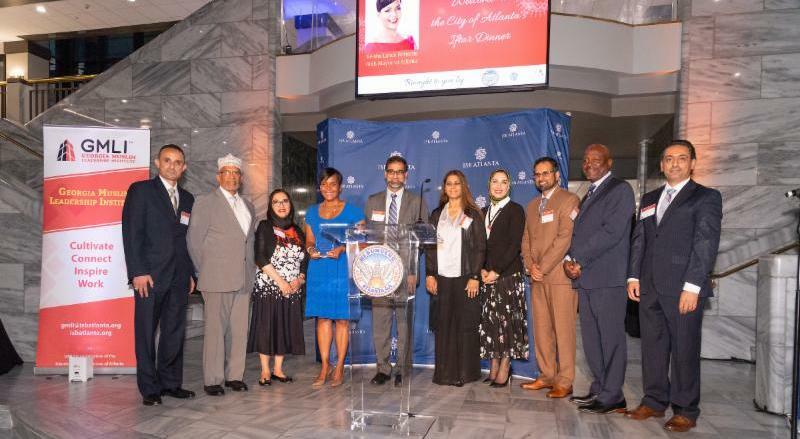 On behalf of the city of Atlanta, on behalf of one Atlanta, I want to welcome each of you this evening as we join our Muslim brothers and sisters for this Iftar," said The Honorable Mayor Keisha Lance Bottoms in her remarks. The evening was concluded with a call to prayer by Mr. Faraz Iqbal and a delicious buffet Iftar dinner. 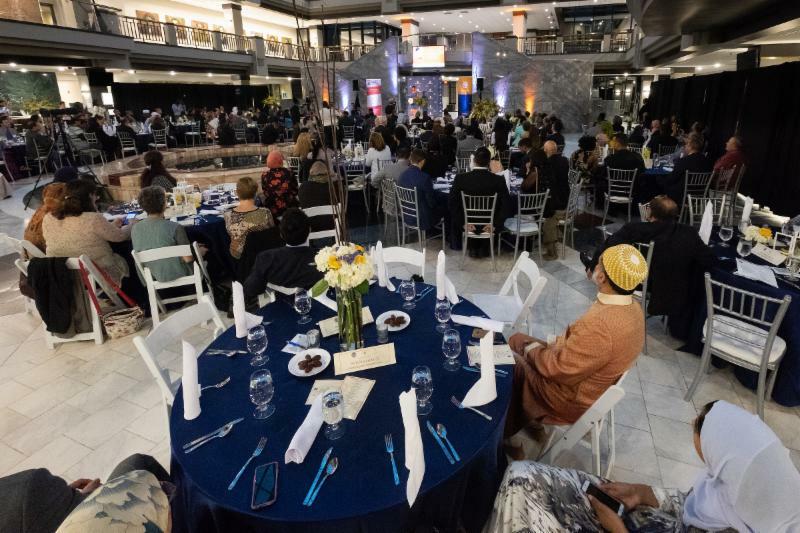 To view more images and videos of the inspiring event, please follow #ATLMayorIftar18 on Facebook, Twitter, and Instagram. To view the photo gallery, please click here and here. To read about our inspiring event featured in the Atlanta Journal Constitution, please click here. Please donate online here . 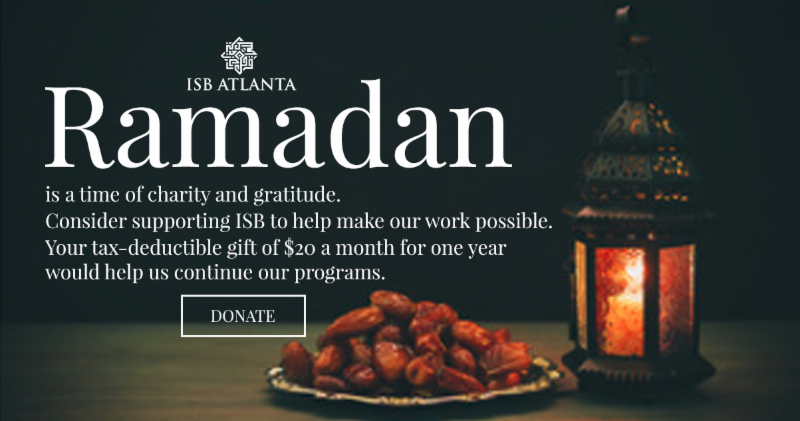 Should you have any questions, please email director@isbatlanta.org . Thank you for your generous support and for making our work possible. In an effort to support programs like the Mayor's Iftar please join us in supporting our Ramadan Fundraising Campaign. We are looking for 300 people to support our efforts by giving $20/month. Please click here to support us. May everyone be rewarded for their support and many blessings of the month of mercy be upon you and your loved ones!